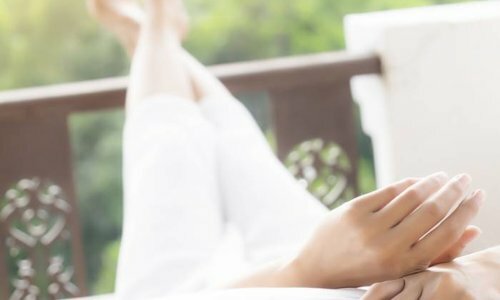 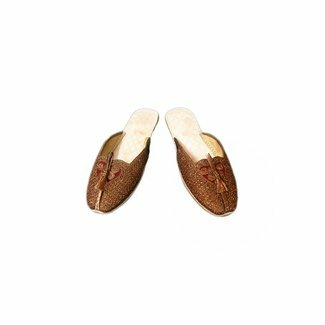 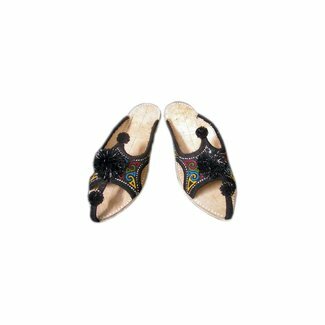 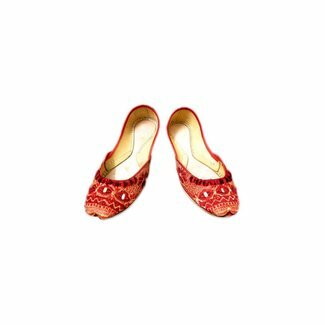 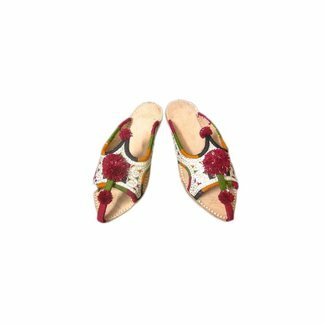 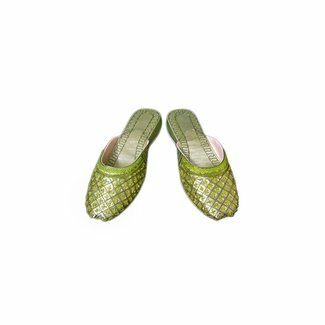 Beautiful Indian, oriental slippers leather shoes in vibrant and fresh colors and designs that are embroidered beautifully. 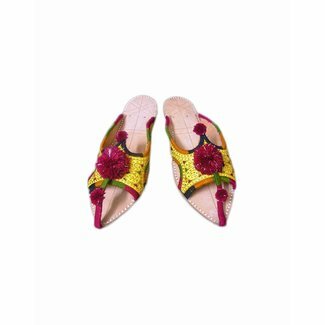 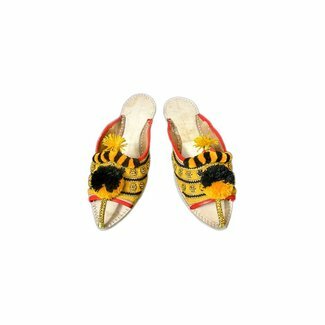 Embroidered Leather Khussa with bobbles in yellow; (36, 37, .. 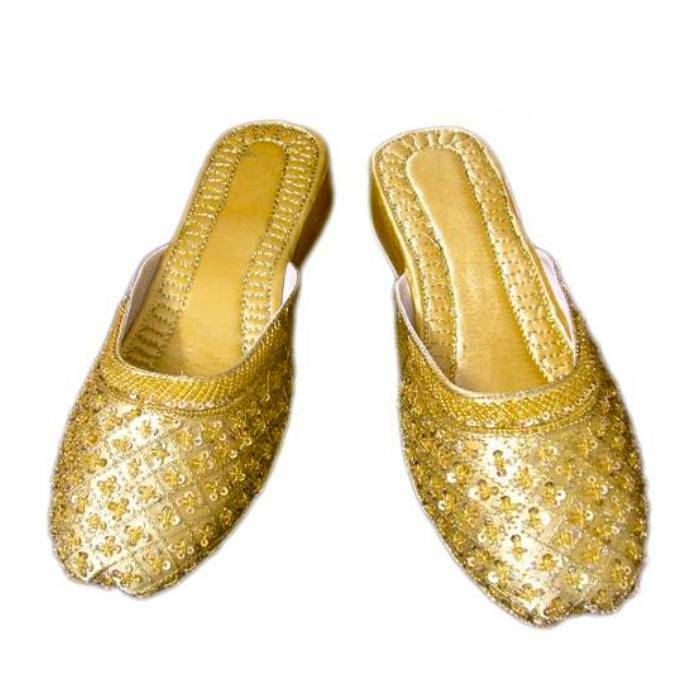 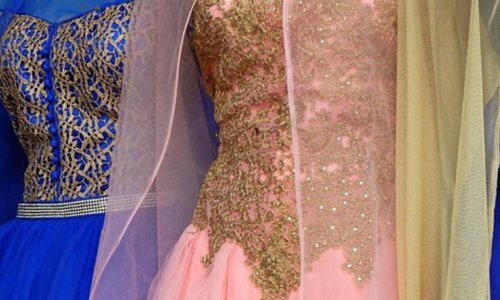 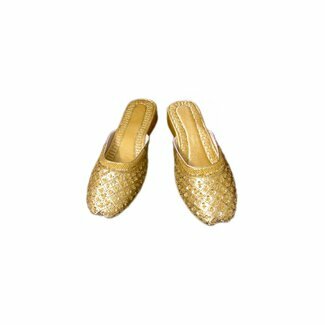 Beautifully embroidered with sequins and beads ladies Khussa..
An open, flat Khussa with beautiful embroidery in gold color..
An open, flat Khussa with beautiful embroidery. 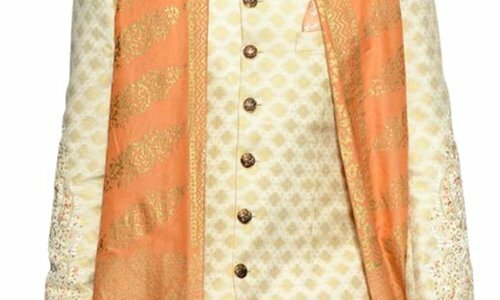 Genuine hand..